There are many reasons why you might require high-quality commercial moving services. Whatever they are, it’s important to ensure that the business relocation services you receive are of the highest caliber. With the help of Coast Valley Moving, you can receive cost-effective office moves that can be tailored to the needs of your business. Whether you are in need of storage and reliable movers to help you transport extra belongings into secure vaults or you’re looking for a comprehensive relocation for your business to its new location, you can rely on our San Clemente commercial moving services. We offer custom crating and packing services as well as specialized services for hard-to-pack items. From local to long-distance moves, Coast Valley Moving can assess your relocation needs and help you create a solution that works within your business’s needs and budget. 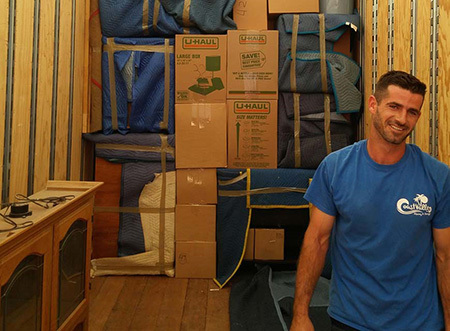 Customize your moving plan as you see fit with the help of one of our dedicated move coordinators. We offer more than just moving services for your most high-value and important items; we also offer corporate relocation services for your employees. This can be charged as a standalone service or as part of your comprehensive office move. If you’re ready to get started on your upcoming relocation, call Coast Valley Moving today to speak with a moving expert. You can also fill out our online form to request your free, in-office moving estimate.